I'm working on a kitchen colour trends assignment for one of my clients and this kitchen is ticking all the boxes for what I've been cooking up in my head. I may or may not have also been inspired by my Mom's outfit in this post. Dove grey all day. 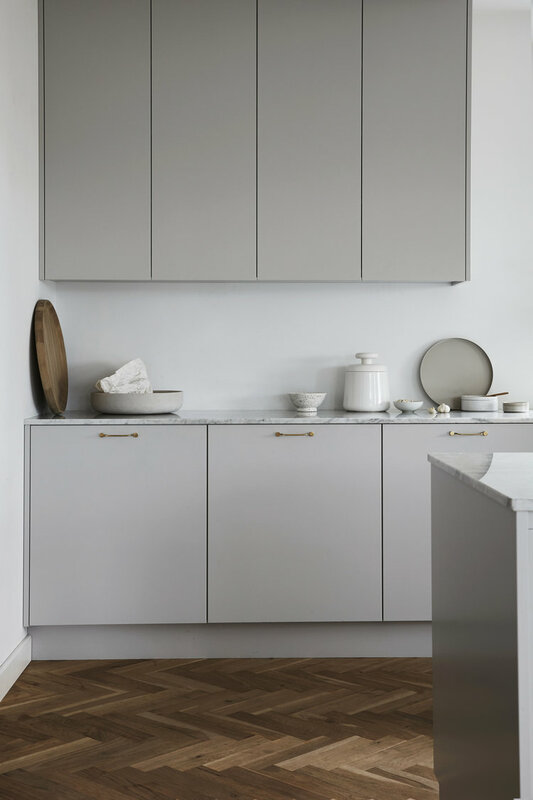 My assignment is to pull together a mood board of a kitchen design, but my goodness I'd so love to make a kitchen like this happen for someone for in real life. Anyone? Anyone? Just enough open shelving to add some lovely things in white, woven and warm walnut. Minimalism with a few accessories is a minimalism I can embrace. Cooking appliances consist of a sleek induction cooktop and a wall oven — my go-to combo particularly for small spaces. And praise be, the refrigerator and freezer are hidden behind custom panels and installed flush to the wall. More delightful details to note: the thinness of that counter — so modern — as well as how discreet the under cabinet lighting is and the precision of the design of the bottom of the uppers. That very pretty pull is something special, too. 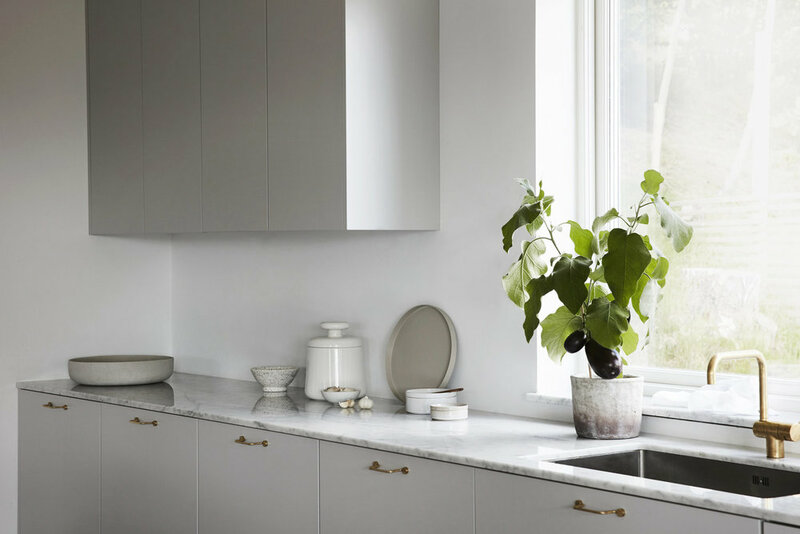 Countertop styling on point of course, because Sweden!